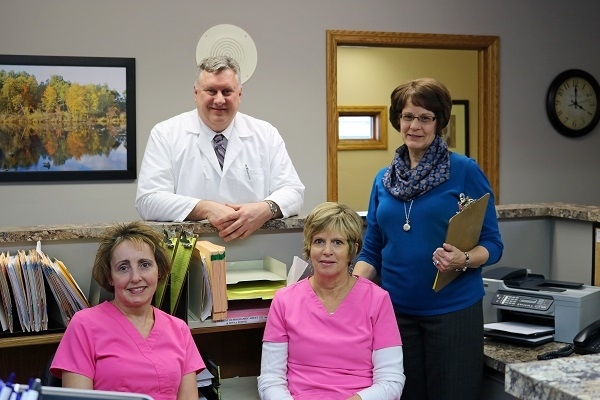 Welcome to Jenison Podiatry, P.C. As a board-certified Jenison podiatrist and a West Michigan native, Dr. Gene Oosterhouse is happy to provide you with excellent foot care. With years of experience and a desire to help, "Dr. O" (as his patients call him) is your answer for treatment and pain relief of a wide range of conditions including ingrown toenails, warts, heel pain, and many other foot ailments. At Jenison Podiatry, P.C., we do things a little differently than the rest. Along with our wonderful customer service, we set ourselves apart from other practices by offering the convenience of a direct pay policy, as well as house call services. That's right - if you can't come to us, we will come to you! It might seem like a thing of the past, but we believe in doing whatever it takes, and work as hard as possible, to ensure that your health comes first. To find out more about these special services, call the office to speak with our staff directly. We'll be happy to hear from you.